The small business has less manpower, therefore it is difficult for them to dedicate each person for each work. So, what they do is assigning multiple duties to a single person. Multitasking is the key in small business and even when you are planning to grow bigger, than you as a small business owner have to take this into consideration that you have the power to grow. The only thing is that you need to select the correct path to make it big. It is just a matter of making the right choice at the right time and everything will fall in place. There are several tools and guidance to help you grow, but it all depends on your selection. No matter how less you have, you have to utilize it to the optimum level. Another way of gaining foothold in the customer’s heart is to give away something for free. You can provide them with something that will make them happy and satisfied, so that they remember it for a long time. This type of marketing is known as content marketing which will help you build relationship with the customer and that will enhance your business’ goodwill as well. One thing that will be always running after you is the shortage of time. You have to do so much in such less time that sometimes it is bewildering to see how things can be managed. There are so many tools and techniques out there for your help, what you will have to do is know what you want to achieve and then follow the path that takes you closer to your dream. Yes, it is important to dream big else how will you even try to grow bigger and better with time. Now you cannot afford to ignore social media when it comes to business, because all your customers are out there. So if you are not there then you are losing out on a major chunk of your customers to your competitors. There is also this mentality of small business that these social media platforms are for big businesses, but they are absolutely wrong as they haven’t come across the right way to utilize it for their benefit. When they will know how easily they can manage everything, then only will they realize the true potential of this social platform and how it can help them to grow more and more. Your business runs on the sales that you make and on the feedback of your customers. This tool which will cost you $15 per month will help you realize how social media presence can carry on the conversation and create value for your business. This one is only for $10 per month and it provides social media integration, syndication and also aggregation. It doesn’t matter how small your business size is, but you definitely can dish out $10 each month from your pocket. With the help of social listening tools you can easily listen to what the customers have to say about you and your product. It serves you the duty of reputation intelligence at $19.99 per month. 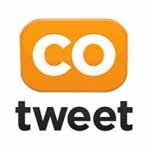 Here comes another tool that can help you with analyzing and optimizing twitter accounts. So if you want you can track twitter followers, draw comparison between different users easily with this social media tool. You also get a 30 day trial which you can avail to see whether they are performing as per their commitment or not. It is one in all media tools as it helps you in managing the social media platform, monitors them and also provides them with engagement as well as social network analytics. You will get all these benefits at the monthly payment of $49. It is a document sharing service that will help your business in various ways. You can share your tips and tricks to do things through e-book and the service that will be helping you to share documents is known as edocr. It has huge fan following already and the number is constantly growing. You can opt for freelancer or the business plan depending on how much you want to spend on this and how you want to manage things in here. So freelancer is $9 per month and Business plan will be $62 but the difference of service is also quite visible. This one might seem to be a little bit pricey with $88 per month but the service that it provides will very well justify the amount. It will allow the small business to listen to what their customers have to say about them, carry on with the monitoring of the reputation of your business online and also the monitoring of the social media platform has been simplified with the help of this tool. This will help you to get the most out of this whole social media scenario by providing you with the tools, insights and the alerts. With $5 per month it is one tool that any small business can afford right away. This one will cost you $39 per month and will help you monitor your brand and also manage conversation effectively with this simple tool. If you have accounts in Twitter, Facebook, Blogs and LinkedIn then this social media will be able to assist you but other than these platforms if you have any other account then it will be of no help to you. It will work as a centralized management platform for you. This will help you to arrange the date and time to share your content. Though it has a basic plan, you can also use the $10 per month plan which will provide you all that you need to manage your social media account. It focuses on one major thing and that is how to share your content among the interested people through right browser and also with the help of your mobile phone. If you want to improve your social media presence online, then you can take the help of this tool which will help you with analytics of social media. Not only that, it will also provide you with suggestions on how to improve your social media presence. $9 per month plan is there for small business and it also provides 30 day free trial period, so that you can check how it performs before you go for the plan. Managing different networks along with social media accounts through Hootsuite is an easy way of managing your accounts. Scheduling posts can also be done through this and it is user friendly. $9.99 per month plan will be perfect for small businesses that want to manage their social media. This social media tool covers wide range of social media platform and is not restricted to few. This one is also a twitter follower tool. Here you will be able to view who all are not following you so that you can unfollow them in bulk, because it is not beneficial to follow someone who is not following you back. This tool comes with free version as well as paid version, so depending on your preference you can opt for any plan. This social media tool will help you in unearthing digital assets and takes care of everything including strategies. It is popular for implementing and delivering as per its promises, so you will get exactly what they say. Marketing opportunities are taken care, so the small businesses do not lose out on anything. With the help of this social media tool, engagement of the customers can be increased and it will take proper initiatives to drive sales to a higher figure. You can also get the maximum return on investment through them. They will help you with referral marketing along with social media apps and content engagement. They are highly scalable and are also a secure platform with some of the high end customers in their kitty. So if you can manage to get their solution then the return on investment will also increase. This social media tool is totally free of cost and that is why it is one of the best tools for small businesses. Though it’s free, still it helps you in various ways like keyword search and will garner you with quite a few information. You can start off using this social media tool and once you are comfortable with it you can move towards other paid tools. The standard edition which comes free of cost is perfect for small business. Though you would not be able to manage your Facebook account but you will have access to your twitter account. Moreover features like 30 days conversation history, message archive, scheduling, email notifications, etc. are available here. This tool will tell you what you need to do in your Facebook page to make it even more appealing for your customers. It provides you recommendations and also shows the comparison of the average page rank and your page. 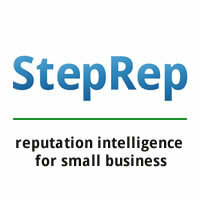 Apart from this it will also show you industry specific rank and the brands that are similar to your small business. It will show you detailed report including the stats of everything that is part of Facebook. It provides the report in the form of pie-chart and it shows you how many people from your contact list are married or engaged or single. 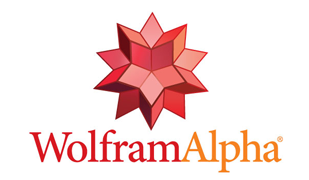 This tool comes free of cost with the Wolfram account and you can expect to get every detail that you want about your account. 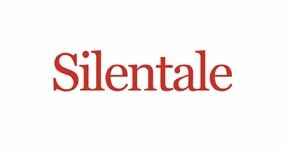 If you want to track how your contemporaries are doing then, this is one tool that will surely help you keep a track on every one of them. 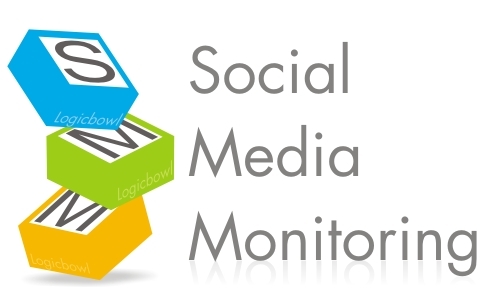 It monitors every social media sites along with SEO and then builds up a report showing how they are faring. 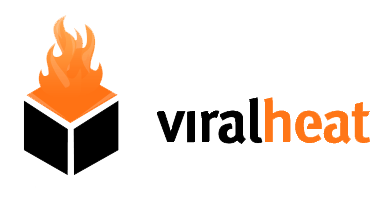 You can also assess which content will go viral with the help of this tool. If you are dealing with too many numbers, then it might get complicated for you to deal with that all alone. So, what you can do is provide the numbers in visual design. This way it will be easier for you to manage the numbers with the help of this tool and even your readers will be benefitted by this. If you want to include infographics and charts then the best way to do that is with the help of Visually marketplace. You will have the expert in the field work for you providing information of your business through videos, presentations or interactive. 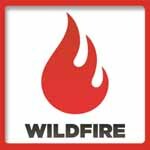 It is equally effective on your browser and mobile device, so you can avail its services anytime you want. It manages all your usernames and passwords and will help you by remembering the passwords and usernames for you. It is highly secured and if you want, it will generate password for you which is 16 characters long and has special characters in it as well. Images enhance your content, therefore it will be good if you can make use the most of it. With the help of this tool you will be able to add value to your content. Whenever you are trying to enhance your content, if you can attach some relevant images, then it will automatically add value to your content and Compfight is the best place to get some great images. This is for Twitter account or the Facebook account. With the help of this tool you can easily track down the competition that you have in the market and verify who the winner is. Moreover this tool comes free of cost, so anybody will be able to take advantage of this tool. It is great for beginner developers and this one comes for free unless you choose to select something from the library where they have stock of photos. The interface is intuitive and you will be able to use the drag and drop feature including some of the templates that will be perfect for beginners. You can crop, scale, filter or do other editing of your images through this tool. This social media tool will help you to design with some of the good graphics program. The image editing tools will help you to bring out the best in each picture and it is easy to use too. Visual content always is a good way to attract people towards your blog and with the help of this tool you will be able to achieve just that. It helps you keep track of how many times your name is mentioned in different social media without even mentioning the ‘@’ sign. You are mentioned on various social media networks, but it is very difficult to keep a track of all that. So, this tool will be perfect for you to keep a track of your name wherever it is mentioned. This helps you with Facebook marketing and also comes up with real time data. The data will allow you to judge where you stand in the business social network and in which way you need to head. It will also act as PR of your business and will help you grow amongst the crowd and be a crowd puller. Feedmagnet will help you in connecting with your customers and increase the authenticity of your brand. With the help of this social media tool you will be socially connected without compromising on the finance. They will help you to control the social content, so that you have just the right amount to engage your audience. This social media tool can be used for contact management for twitter. If you have an account in twitter and want to know whom to follow back and when, then this tool will tell you the time when to follow back in order to get maximum attention. It also helps in exporting data and can easily be used to manage twitter overall. This social media tool will help you to provide excellent customer service through Facebook and Twitter page. It will make sure that loyalty is built with customers and simple implementation of tools is carried out in order to provide the best services to your customers. Extole will help you get new customers for your brand and it can be achieved easily, as it is user friendly and therefore even optimization is also made easy for you. It also helps you to be present on mobile too, so that you do not miss out any customer. If you need to post something within half an hour then you can easily rely on Tweet4me to do the work for you. It is a great scheduler for tweeting from apps and you can also send messages directly with certain prefixes that contain valuable information. If you want to break the language barrier and see who needs what then NeedTagger will be the perfect helping hand for you. Your communication skill will grow as it will run the language filters and also search based on keyword to find out which customer needs which service or which product of yours. Tool that will be helpful in managing your twitter account and that too for the smartphone devices. You will be provided with the basic Twitter dashboard and apart from that you will also get services like the hiding of unwanted tweets or the photo effects or even the enhanced searches. 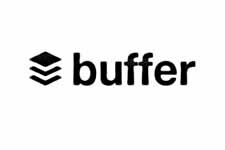 It will manage your followers and supercharge it when you are following someone. It will also help in unfollowing some, especially those who are not following you back. It will actually help you with the information about whom to follow and unfollow. Even the cleanup section will help you edit in bulk. You have to follow three simple steps to get RSS feed right in your twitter account. You have to connect the social network with the feed you want and then you can simply send the posts away. You will also get the social media tracking tool so that you can follow up without any complication. If you are looking for something which will help you in building amazing infographics that will help you enhance your page and also boost the transparency too. You can give out the monthly report with the help of the templates that they have to offer. Infogram spreadsheet will help you get the detailing right. It is a tracking tool that will help you keep a track of keywords on Instagram or Facebook or Twitter including hashtag campaign. You just have to add hashtag in front of some upcoming event and you will be able to track the popularity all by yourself. You can collect the topics that are making news online and then have a chat about the topics with the team. It is an asset as it also provides you with browser extension that will help you add the stories right from your browser as well. If you are still not able to find a proper place for your share buttons then here is one tool that will help you with just that. With the help of Flare you will be able to drag the buttons from one place and then simply drop it to another place like header or footer or sidebar, etc. If you have a busy schedule and you find it hard to remember them then you can use this tool and get it done in LinkedIn. Here you will be able to put your contacts in different columns, so that you can add the reminders accordingly. It helps you in creating images as cover photo for your Pinterest account. It will help you boost promotion and engagement by creating some amazing and breathtaking cover photos that will help you stand out in the crowd. You have been toiling with the idea of the video content but if you’re not sure whether it will work or not. Then, you will be hesitant in investing in it. Now with Powtoon you can see for yourself whether it will work or not. This tool comes free of cost, so you can easily use this to see the response of your audience. It can do simple things like texting you and also carry out auto updating of your Twitter account and that too with the pictures available on Instagram. 90 and more channels are involved in here, including the regulars like Instagram, Twitter, LinkedIn and Facebook. Creating high visuals for your account is not possible every time, but with the Pin It button your viewers will be able to share the images directly to the Pinterest account. It is good for people who are looking for more and more Pinterest share for your blogs. It can be quite a challenge to find out new content every time to share, but with this social media tool you can find stories depending on interests and also the topics that you have shared in the past. It will also provide you with information regarding content that your audience might like. This tool will help you with value added information regarding your Facebook’s engagement, growth, response time and service. Apart from Facebook page it also allows you with information regarding the Twitter account and YouTube.